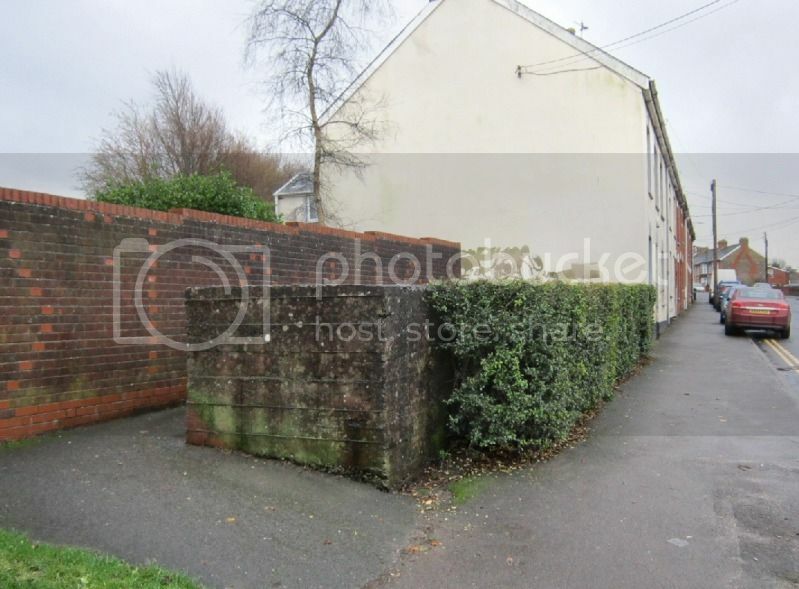 In a quiet residential street in the South Somerset town of Chard, there is a low but very thick concrete wall that serves no apparent purpose. It’s screened from the road by a hedge, and most people probably go straight past without even noticing it. But the wall is massive enough to stop a fifty-ton tank... which is exactly what it was designed to do. It was built at the start of the Second World War as part of the Taunton Stop Line -- a defensive barrier stretching for fifty miles from the Bristol Channel to the south coast, designed to slow down the enemy in the event of an invasion. The anti-tank wall in Chard is just one of many leftovers of the Stop Line that remain to this day... but most of them are out in the open countryside, not in a town centre like this one. 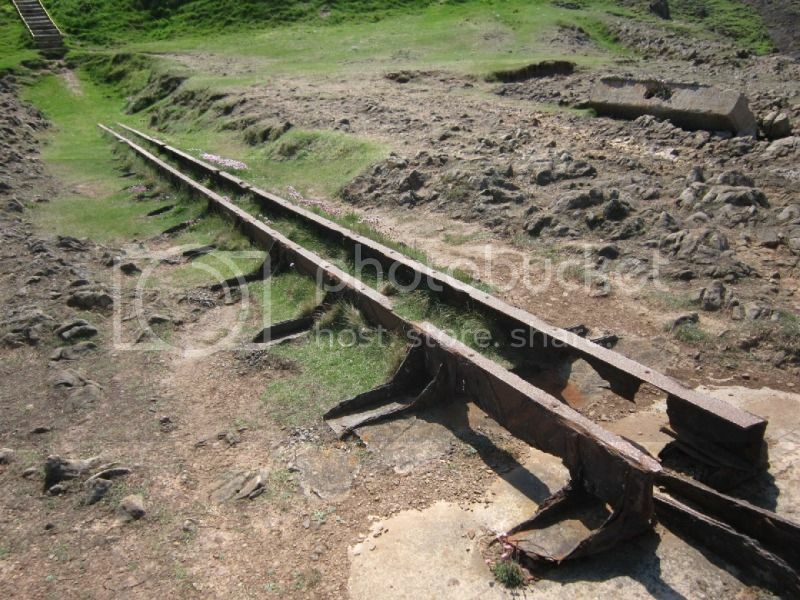 Another strange relic from the Second World War can be seen in North Somerset, at Brean Down near Weston-super-Mare. 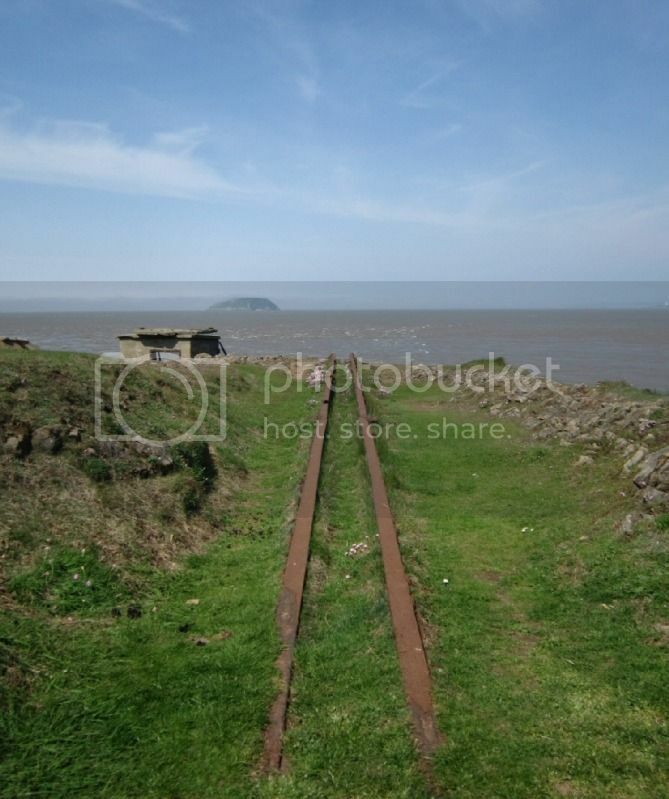 Originally a coastal defence battery built in Victorian times, Brean Down Fort was used during WW2 for naval weapons testing. One of its more unusual facilities was a rocket sled that was used to propel munitions into the sea at high speed, in order to simulate launch from a low-flying aircraft. The trackway used by the rocket sled is still there to this day. Pictures, Andrew May, Somerset (2012). For the benefit of purists, I should point out that the Taunton Stop Line was never a continuous man-made barrier like Hadrian's Wall. 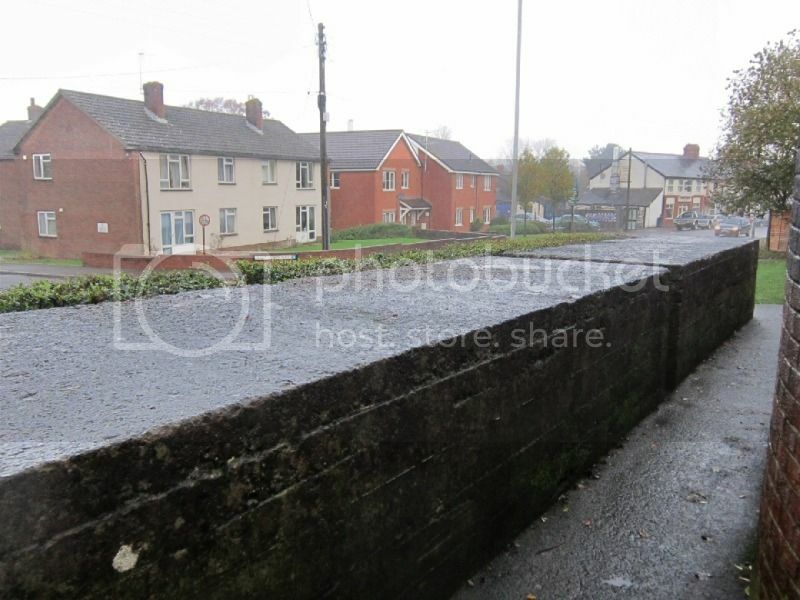 Short sections of anti-tank wall like the one in Chard were built at particularly vulnerable locations, but mostly it made use of pre-existing obstacles like rivers, canals and railway cuttings. Many of the remains that can be see today are concrete gun emplacements that were built at intervals along the Stop Line. However I had never read of the “stop line “in Devon ( although in 1940 with the axis only 30 miles from UK it’s very obvious!